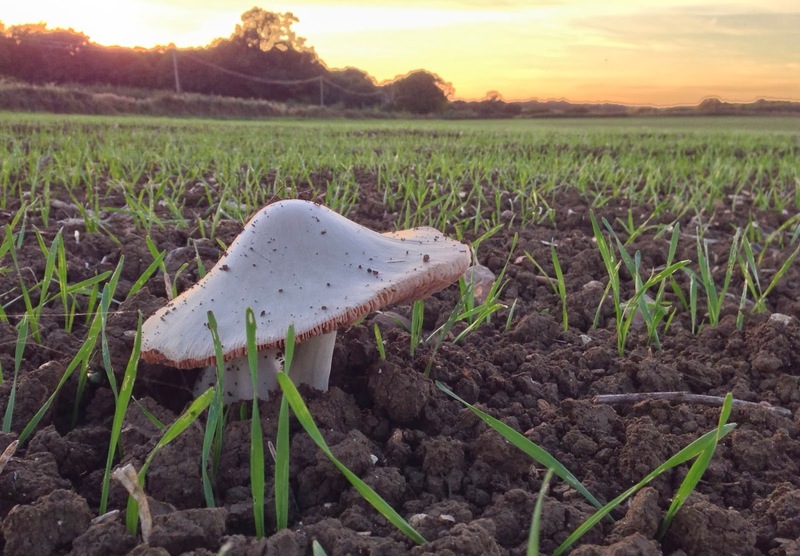 In the open cereal fields around us, the clean white caps of field mushrooms are emerging between the new shoots of next year’s crop. Whilst Agaris campestris is edible, correct identification of mushrooms is always important before collecting for the kitchen. I decided to leave these in the wild and take a photograph instead. Agaricus campestris, Field mushroom. Bookmark.